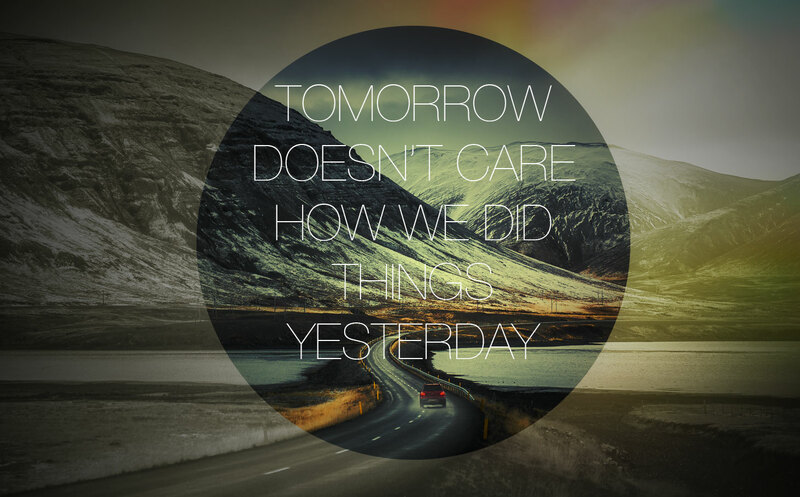 Don’t let today’s plans and tomorrow’s actions be determined by what happened yesterday. Whether it is success or failure, habits or hangups, the deeper you sink into the comfort and security of your routine (read: rut), the hard it will be to break out. Innovation is the lifeblood of creativity and success. Thankfully, there is always room for improvement. Let’s stop settling for good enough. Instead, let’s make things better. Let’s work to find new ways to move forward, grow, change, and embrace new challenges.